Frozen Shoulder: Range of motion back within 10 days? We offer relaxation massage, therapeutic massage, TuiNa, acupressure, cupping therapy, Reiki, CranioSacral Therapy, abdominal cupping therapy, facial rejuvenation cupping, sports massage, hot stone massage, aromatherapy, couples packages, singles packages with aromatherapy foot soaks, and salt scrub treatments with sauna. 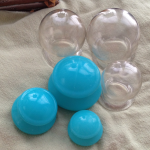 Cupping therapy is a highly effective and under utilized therapeutic technique. It can be used to treat a variety of issues – from pain in the joints, muscles, or any other part of the fascia to releasing knots and tissues in a relaxing way, similar to massage. We discussed its general benefits in April’s issue, and this month we’ll discuss the benefits of abdominal cupping therapy specifically. Our abdominal region is home to a variety of areas that directly affect our daily health, and it also tends to be our core emotional center, in need of both physical and emotional release. Within the abdominal cavity we’ve got a variety of muscles that connect the pelvis to the spine, the rib cage to the pelvis, as well as the diaphragm, then we’ve got our digestive organs, our reproductive organs, and the second and third chakras. That’s a lot going on! It’s no small wonder that so many individuals are impacted by any one or a combination of the following: menstrual problems, digestive issues, heartburn, hip pain, abdominal pain or lumbar (low back) pain. Many people consume artificial hormones, antacids, laxatives, anti-diarrheal medicines, muscle relaxants and/or anti-inflammatory drugs to relieve symptoms and go about their normal activities. When I used to travel frequently as a public accountant, I always had an ample supply of most of the above items in my travel bag, and I thought that was normal! Now I know better. How can abdominal cupping help? For one, most of us could greatly benefit from some abdominal massage, which isn’t part of the standard full body routine in the U.S. Most people have tightness in their diaphragms and their iliopsoas (hip flexor) muscles, and those muscles rarely ever get worked on during massage sessions unless specifically requested. Cupping therapy generally goes deeper than massage does and can also be used either as a substitute for massage (which we call massage cupping), or the cups can be placed in specific places to get a deeper release for certain tender spots in the fascia or on particular acupoints (points along meridians in Traditional Chines Medicine) to achieve relief through balance in your meridians, qi, and blood. Some conditions that can be improved through cupping specific acupoints include lumbar pain and fatigue, dysmenorrhea (painful menstruation), amenorrhea (missed periods), diarrhea, abdominal distention and/or pain, gastritis, spasms of the diaphragm, and really any general abdominal pain or discomfort. Anyone who consumes processed foods, sugar, dairy, chocolate, caffeine, soft drinks, or alcohol will likely have some mucus build up within the intestinal walls and could benefit from abdominal massage and detoxification. Cupping therapy on the abdomen is great for this! And an added benefit – emotional issues that have been buried there for years may also begin to be released. It’s no secret that buried emotions and stress directly impact our health, and many practitioners believe the belly holds all kinds of unprocessed emotions, contributing to all manner of pain throughout the body. It’s no coincidence that we refer to our abdominal region as our “core” or consult our “gut instincts” – we actually do store emotions in those tissues, and they need to be released just like the knots in the muscles or the excess mucus in the intestines. Cupping helps rid the body of these toxins and get things moving through the various systems that were intended to filter out what many of us continue to carry around with us every day. Curious? Next time you’re in for a massage, try a little abdominal work and see what you think. Then if you’d like to explore it further or work a little deeper, maybe give the cupping therapy from a qualified professional a try. I think it feels great! More people are becoming familiar with reiki (pronounced “ray-key”) and its many benefits. A study done in 2007 by the National Health Interview Survey indicates that 1.2 million adults and 161,000 children received one or more sessions of energy healing therapy such as reiki in the previous year. Reiki works to heal the body, mind and the spirit on a holistic level. It has been proven to help minimize pain in chronically ill patients and heal depression and stress among other things. Mikao Usui, Sensei of Tokyo, founded reiki in the early 1900s. One of his students was Mrs. Hawayo Takata. In 1935, Takata was diagnosed with several serious illnesses. She was referred to a reiki clinic where she returned to health in two months and was completely healed after eight. In 1937, she brought reiki to the U.S. where she continued to teach it until her passing in 1980. Reiki is traditionally defined as the universal life-force energy. 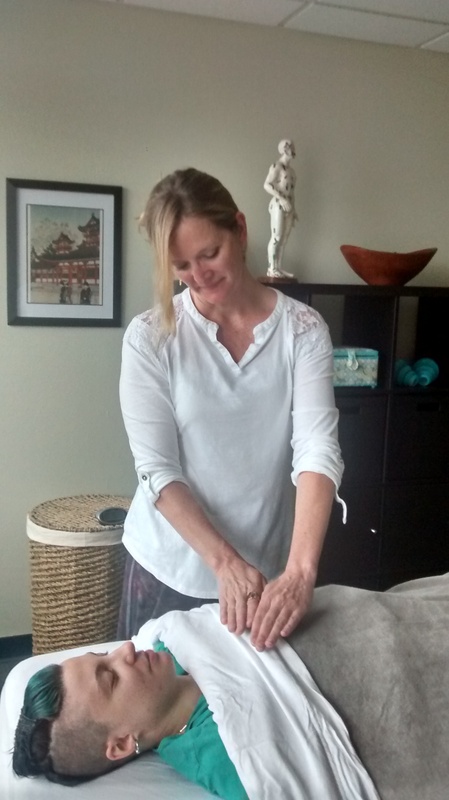 This energy, which flows through a practitioner’s hands, can feel like many things to a client. As the practitioner begins, you may feel a slight tingling sensation, feel heat radiating from her hands; you may see colors or sense waves of energy going through your body among other sensations. Many clients fall asleep or into a deeply relaxed state while receiving treatment. This is your body’s way of allowing the healing to take place. It is in this state that the ego steps aside and allows our higher self to guide the healing process for our bodies. Many times, we overwork and abuse our bodies with food, alcohol, sugar and caffeine saturated drinks and lack of exercise. All of this can tune us out from our body’s signals. Reiki bypasses the ego’s will to keep control and works with the part of you that is ready to heal. Important ways you can begin to assist yourself in this process are focusing on your breathing, especially when you are stressed, some form of exercise such as yoga, walking or riding your bike, and meditation. Reiki’s benefits extend beyond just healing your physical body. It heals the emotional aspect also. Sometimes a healing crisis can occur where you experience what feels like an overwhelming amount of emotions arising or get physically sick. More often than not, though, you notice thoughts coming up about events, or have feelings surface you’d forgotten about. If you do experience a lot of emotions coming up, contact a trusted friend or adviser, and ask them to help you through it. Always know that reiki is about helping you release what is no longer serving you and your greatest good. Reiki can be used in conjunction with other modalities and works very well with body work such as massage or acupressure. Practitioners can assist anyone, even animals, in the healing process. As more people are becoming aware of energy healing and its benefits, a shift is taking place where we are seeing energy work integrated into more mainstream society. Even large hospitals such as NYP/Weill Cornell, are using guided imagery and reiki in palliative care for patients. If you are wondering whether or not reiki is right for you, consider finding a practitioner who offers a half-hour introduction session, or offers a percentage off the first full session. Reiki is for everyone because it is non-invasive and always healing. It is even something you can do on yourself, if you so choose. Kathy Bryant is a registered Reiki Master Practitioner and acupressurist. She has studied with teachers both in Madison and Sedona, AZ. She has been helping clients heal for over two and a half years. She owns Adi Shakti’s Center for Sacred Healing, a web-based business and, works at Renu Massage and Day Spa on Madison’s west side. To set up an appointment, visit www.renumadison.com or call Kathy at 608-217-8249. References: The Center for Reiki Research. www.centerforreikiresearch.org. “Does the Reiki Touchstone Process Show Support for Reiki?” The Center for Reiki Research. www.centerforreikiresearch.org/RRConclusion.aspx. “A Modern Reiki Method For Healing (Revised Edition).” Hiroshi Doi. Vision Publications. 2014. “Comfort Zone.” Anna Sobkowski. www.weill.cornell.edu/news/publications/pdf/medicine2/2010-03.pdf. We all know a good sweat from exercise can relieve tension and improve our health, but what about sweating from sauna use? Let’s discuss infrared (dry) saunas and their benefits. Infrared light is not visible to the human eye but can penetrate human tissue. As a result, infrared saunas will heat your core body temperature, improving your circulation and lowering your blood pressure, not unlike the benefits we experience during exercise, and blood flow increases similarly as well. Increased blood flow plus lower blood pressure plus more oxygen to the cells means pain can also be reduced for any chronic conditions that are causing muscle restrictions or spasms. Heating the body’s core temperature also penetrates the muscles down to the cellular level, so toxins may be released, and the immune system is strengthened as well. Plus the experience is quite relaxing; you will feel refreshed after an infrared sauna session and should experience improved sleep. If you love the health benefits of massage but need a lower cost alternative, infrared sauna use on its own might just be what you are looking for. However, using an infrared sauna use after a massage will provide even more benefits – as you will sweat out the toxins that just got broken up and released to your circulatory system during that wonderful massage. So many of us seem to be in a chronic state of inflammation these days, as evidenced by the growing number of chronic ailments seen in doctors’ offices and by healing arts practitioners such as massage, naturopathy, and acupuncture. We might not be able to break away from the prevalence of our high-stress lifestyles, but we can certainly help take care of our bodies while we live life to its fullest capacity. After you work hard and play hard, go get a massage and sit in the sauna for a little balance and detoxification. Do something just for you! Traditional Chinese Medicine tells us we can sweat out potential threats to our health as a first line of defense, and saunas have been used for detoxification purposes in India for thousands of years with ayurveda. Sauna use can definitely aid in that immune defense and also help the body sweat out toxins and inflammation that reside deeper in the tissues. Chronic inflammation is indeed a pervasive problem which is responsible for a host of current health problems, including acne, asthma allergies, food sensitivities and other digestive problems, and various autoimmune disorders. The longer we keep our bodies in this state, the more likely we are to see evidence in our other systems. Many of us have grown accustomed to living in our inflammatory state and need to break the cycle to achieve good health. Regular massage, cupping therapy or other bodywork, and sauna use can go a long way in resetting ourselves to help our bodies detox, reduce inflammation, and then achieve healing. Could you use a little extra detoxification from heat therapy today? Often in life it seems that returning back to basics can be the best plan. Cupping therapy has been used by ancient indigenous tribes across several continents as well as by the ancient Egyptians and the ancient Chinese. Traditional Chinese Medicine (TCM) has been around for thousands of years and still utilizes cupping therapy today as part of regular medical treatment for pain and disease. It has gained recent stardom from celebrities who have tried it, and was even talked about by Gwyneth Paltrow with Oprah about how amazing it feels. So what is this cupping therapy? 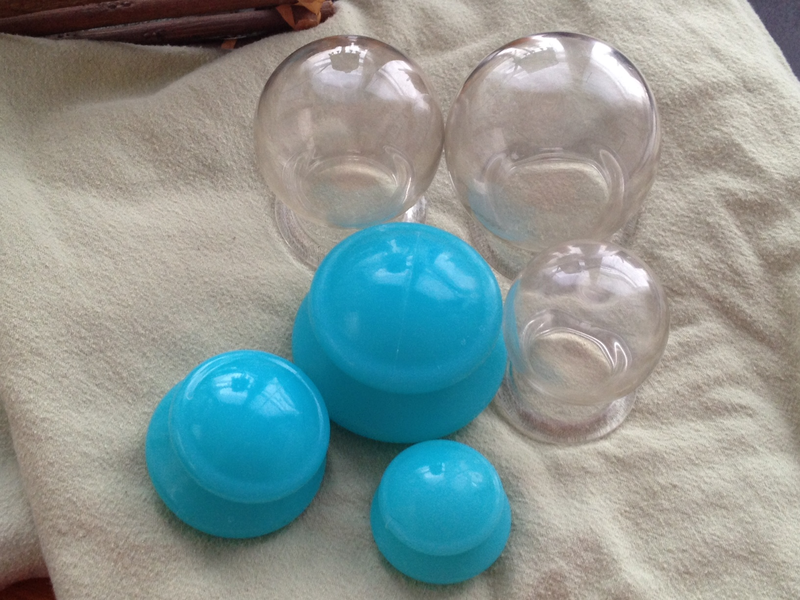 Cupping therapy uses suction to create negative pressure above the surface of muscular and epidermal tissues. The result is that restrictions and adhesions in the muscles are more easily released than through compression techniques utilized in traditional massage and bodywork therapies. Cupping therapy can also reach more deeply into the tissues than can a therapist’s hands. Blood flow is increased to the affected area, and blood vessels widen when the muscles relax, and the nervous system is also stimulated, which helps the body recover from pain. Therapists can achieve results much more quickly through cupping therapy than with traditional compression, and can quite often alleviate chronic, long-term pain quite rapidly, sometimes even in just a few sessions. Cupping therapy is great for shoulder pain, low back, hip, or sciatica pain, or really any joint or fascial pain that you may be dealing with (knee, wrist, plantar fasciitis, and more). Even numbness from nerve restrictions can be alleviated from cupping therapy. Blood and lymph might be stagnant in the areas of muscle restrictions (kind of like a traffic jam), along with a build up of waste products from the lack of oxygen in the restricted tissues, and those will all get pulled to the surface of the skin, so there may be some coloration after a cupping therapy session that will go away over the next several days to a week. Don’t be alarmed! It might look like a bruise but it most certainly is not – no capillaries get broken with cupping therapy. Rather, fluids are being pulled through the restricted tissues so that they can then be moved by the circulatory and lymph systems – those wast products can then finally get processed where they belong. Cupping therapy is also utilized in conjunction with TCM to treat a variety of diseases, and it works very well with respiratory conditions. Cups are placed along specific acupressure points to achieve specific results based on the TCM diagnosis. So beyond working with your blood, lymph, and nervous systems, we can also work with your Qi and energetic meridians with cupping therapy (if your practitioner has been trained in TCM). And that coloration we mentioned before? Each type of color that surfaces means something different in TCM as to what is going on with the body. Cupping therapy is widely performed by acupuncturists, and is becoming more commonly practiced by massage and bodywork therapists. Look for a practitioner who has studied Asian Bodywork and/or Eastern medicine and who has received training in cupping therapy. Contraindications do exist, application methods do matter, and it is important to select a practitioner who has been trained to treat you properly.